What type of imprinting methods do you offer? What is the cost of having my order decorated? How can I assure that my logo colors are being matched correctly? 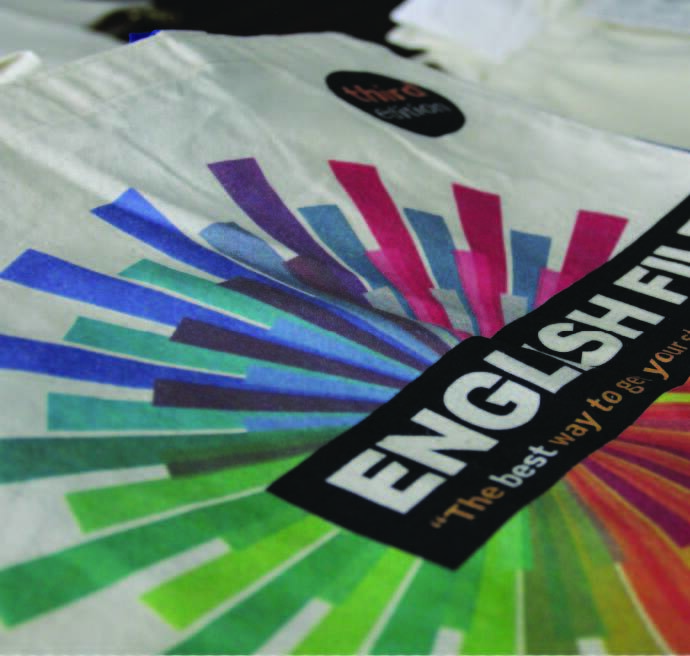 The most common decoration options for tote bags are silkscreen imprint, heat transfer and embroidery. 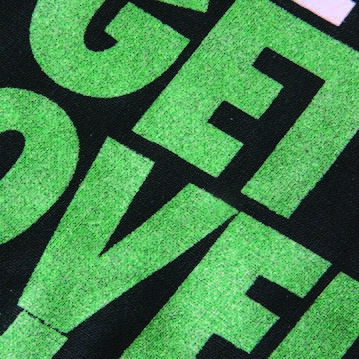 For those of you that want to take it a step further, we offer direct to garment printing, foil transfer, glitter screenprint and debossing options as well, which can be quoted on a per case bases. Just check in with our customer service team and let us help you figure out which print method works best with your logo. 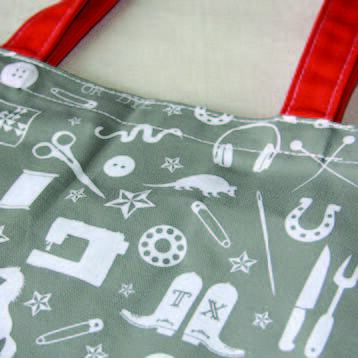 Silkscreen imprint is the most common and economical method for decorating tote bags. We can imprint solid spot colors using screen print method. In some cases we can imprint gradient as well, but please check with customer service prior to placing your order if your art has gradient. Some restrictions apply for nonwoven tote bags. If colors register tightly, we might advise you to use heat transfer for the nonwoven bags instead. 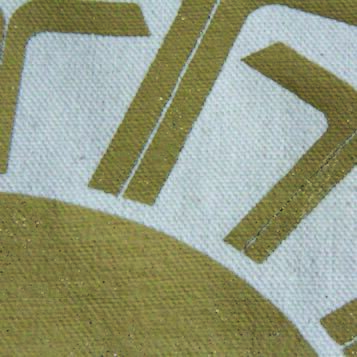 Our listed prices for screen imprint include a one-color, one-position imprint. We will size your art to fit the standard imprint size listed in the item description unless you instruct us otherwise on your order. Standard imprint locations are front and back of the bag. For gusset imprint, please check with customer service. For some bags we can imprint larger than standard imprint area ( generally we need to stay about1.5” away from each seam or edge ). Additional pricing may apply for extra large imprints and will be determined on a case by case basis. If your art is 13” W but only 2”H, we probably won’t charge you any extra for it. You can match colors ver y closely using Pantone Matching at a nominal fee. We work with the PMS Solid Coated Color Chart. We also have a range of stock colors available to choose from. Minimums for screen print : 25 pcs. Heat Transfer is most suitable for artwork that has very fine detail and is multi color gradients ( such as photographs or paintings ). The heat transfers that we are using can be opaque or translucent and are die cut around the image. If your graphic is very thin we apply an outline around it to meet the minimum thickness required for the transfer to adhere perfectly. In heat transfer decoration your image is printed on a special paper first and later transferred onto the bag by applying pressure and heat with a heat press. Our standard paper is on a roll at 9” W. Please inquire for larger size transfers. It’s a two step process and generally takes 8-12 days production time. Minimum for heat transfers is 100 pcs. Embroidery works well with our heavier weight, higher end canvas line and jute bags and can really make your graphic stand out. Generally the perceived value of an embroidered bag is much higher - unfortunately it also costs more. 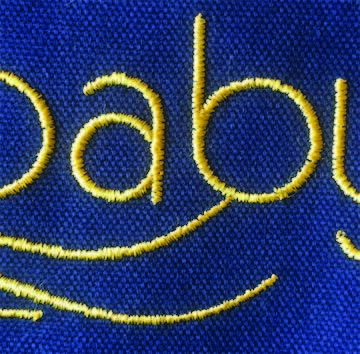 There are some limitations to embroidery - since the logo is stitched it is more difficult to recreate small type or fine detail of your graphic. We love the look of foil on canvas totes. It really gives your graphic an edge. We carry gold and silver foil in our standard assortment. Special colored metallic foils are special order and might require a higher minimum. Foil is a two step application process where a transparent adhesive is screen printed first and the foil gets heat stamped afterwards. Add a little sparkle. This is best done by adding glitter to your images. You can go for a metallic shimmer look that is usually more popular if you have a graphic with fine detail or you want a more subtle effect. Or you can go with larger glitter to pep up your image. This is a great solution for small quantity full color runs. Direct printing is also popular for apparel printing as the ink gets absorbed into the fabric instead of sitting on top of it, making it very comfortable to wear. We don’t offer this printing method on all of our products, so please inquire with customer ser vice if you are interested in getting a quote for direct print. 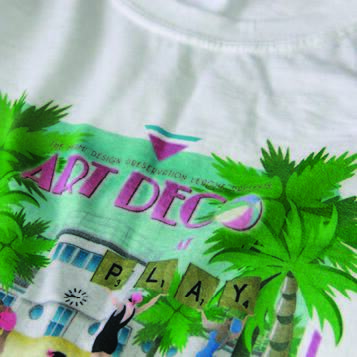 Retail ready full color screen printing is offered in our state-of-the-art production facility overseas. Please check with customer service. Higher minimums apply. What is the cost of getting my order decorated ? Some exceptions may apply. Prices may change for different products and special print requests. How can I assure that my logo colors are being matched correctly ? For screenprinted orders the best way to assure of color accuracy is by having your color Pantone matched. We work with the PMS Solid Color Matching System for Coated Colors ( fe. PMS 200c ). This is important as ‘Uncoated’ colors (fe. PMS200u ) might be different in appearance, even though they use the same numbers. The Pantone Match Fee is $8.00 per color. Heat transferred orders don’t guarantee exact color matching, but if you supply us with a color print out we can try to match closely to that . If we have to color correct your art file additional charges might apply. Embroidered orders can be matched to Madera thread colors. If you are printing on a background that is not pure white, colors might appear slightly different - something to always keep in mind. You can also choose from our stock colors - click here to see available shades for screen print.